The average cost for remodeling a bathroom in the United States is around $10,000, and on the highest end can be up to $25,000. However, you don’t have to break the bank to make your bathroom look completely new and refreshed. There’s a lot you can do on a limited budget if you make smart choices and know where to go for quality workmanship on a budget. Start with these four bathroom upgrades, and it will be looking amazing in no time. This might seem like a simple tip, but a fresh coat of paint can do wonders for an outdated bathroom. Save money by painting the walls yourself or call in professionals if you have room in your budget. Consider trying out the trendy monochrome look for your bathroom and paint the walls to match your floor and fixtures. An all-white bathroom can look high-end and chic, and an all-grey bathroom can give you that modern, industrial feel. If you want something more colorful, try a light, icy blue for a beachy feel or a buttercup yellow to add some warmth. Bright colors can work too, but remember that in a small space, you don’t want anything too overwhelming. The mirror is one of the focal points of any bathroom, so spending a little money updating it will go a long way. You could try out a floating mirror for a modern look, or you could go with a furniture vanity for something more classic. If you already have a vanity that you love, but you’ve noticed it’s looking a little drab, try painting it white, black, or charcoal grey and watch as it comes back to life. You could also consider investing in some quality lighting around your mirror, especially if you love doing your makeup or hair. There are so many affordable backsplash options available these days that you no longer have to be satisfied with the same boring choices. 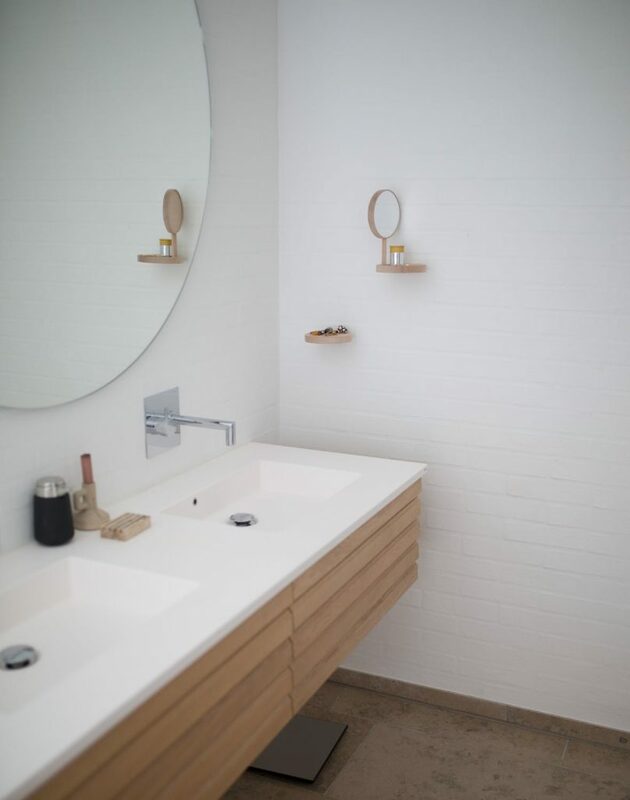 Take your time and look around for something that speaks to you and will fit in with the overall look of your bathroom. If everything else in the bathroom is clean and minimal, you could go with a patterned or brightly colored backsplash to add a point of interest. Or, if you want a more classic, minimal look, you could choose natural stone, faux-concrete, or even a wood plank backsplash. Whatever your budget, you’re bound to find something you love. Removing and replacing your bathtub is one of the most time-consuming, expensive parts of renovating a bathroom. It’s a messy process that can damage your floors, walls, and plumbing, which means you have to spend even more to fix everything before getting your new tub installed. For a bathroom remodel on a budget, a bath fitter is the perfect option. Handyman Matters Richmond offers high-quality bath fitters that will stretch your remodeling budget further and leave you with a tub that looks beautiful and new. By choosing a bath fitter instead of a completely new tub, you’ll be saving time and money, and you’ll end up with a tub you love. If you’re looking for bathroom remodel services near you, Handyman Matters can make your vision for your new bathroom become a reality.